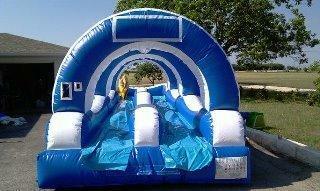 Race through this Double Slip and Slide with Pool. Great for any event and all ages. Brightly colored with two lanes of slipping and dipping fun. Recommend two users at a time.